UBC mechanical engineering professor Yusuf Altintas, P.Eng., has been awarded one of four 2016 Strategic Partnership Grants for Networks by the Natural Sciences and Engineering Research Council (NSERC), valued at $5.5 million over five years. The recipients were announced on October 19, 2016 at Carleton University by the Honourable Kirsty Duncan, Minister of Science, and the Honourable Catherine McKenna, Minister of Environment and Climate Change. Altintas and his research partners have also received significant industry funding to complement the NSERC grant: $1.785 million from Canadian companies (Pratt & Whitney Canada, Honda Canada, Ontario Drive & Gear, Memex, Origin, CADlink and Alcoa) and $781,000 from international companies (Sandvik Sweden, Danobat, Boeing, the Industrial Technology Research Institute of Taiwan and SIMIC Korea) over five years. Supporting large-scale, multidisciplinary research projects that require a network approach, the Strategic Partnership Grants for Networks are intended to increase research and training in four target areas (including advanced manufacturing) “that could strongly enhance Canada’s economy, society and/or environment within the next 10 years.” Such research and training must be conducted through partnerships between academic researchers and industry or government organizations. “Facilitating close connections and partnerships with business ensures that discovery research is enriched by industry perspectives and market needs,” says B. Mario Pinto, president of NSERC. 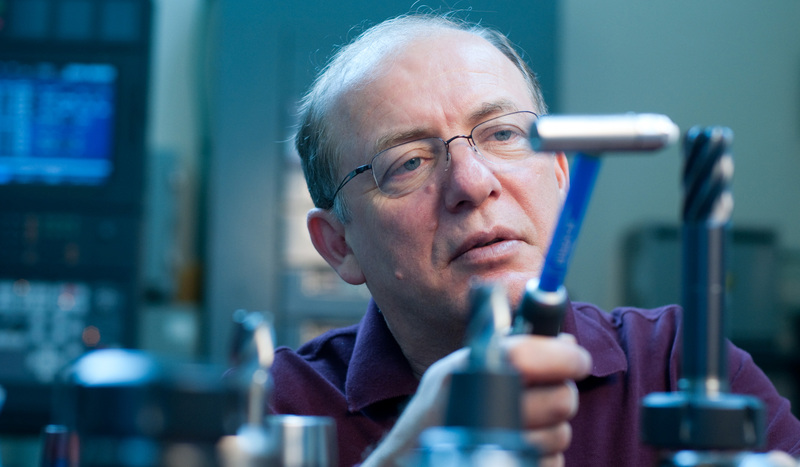 Altintas is the scientific director of the Canadian Network for Research and Innovation in Machining Technology (CANRIMT). Comprised of university researchers (17 faculty members from seven Canadian universities) and industrial partners, CANRIMT is developing mathematical simulation models integrated with software tools that are helping Canadian companies design and manufacture innovative products more cheaply and quickly. The network’s core research is carried out at UBC. The modelling and analysis tools created by CANRIMT, which are part of a virtual machining technology platform, enable accurate computer simulations of complex machining systems. Accounting for a variety of relevant factors (including the properties of the materials being used, cutting conditions, machine tool vibration and geometry, and the computer system that controls the motion of the machine tool), these simulations allow companies to predict how real machines will interact with real work materials, correct any errors, and otherwise optimize their machining processes without conducting expensive, time-consuming physical trials. The first phase of CANRIMT, which was awarded a Strategic Partnership Grant in 2010, produced software for 5-axis milling, drilling, turning and boring that is currently in use by the Canadian aerospace industry and is being tested for application in the automotive and machinery manufacturing industries worldwide. In its second phase, CANRIMT aims to integrate virtual models into real-time, physical machining systems in order to create intelligent digital machining systems that cover the entire product development chain. To meet existing and growing demands in the Canadian aerospace, automotive, energy, machinery and medical device industries, CANRIMT is also working to improve the functionality and accuracy of its virtual machining technology. In addition to encouraging collaborations between academia and industry, the partnership grants have a strong educational purpose, requiring that winning projects “offer opportunities for enhanced training of highly qualified personnel that takes advantage of the multidisciplinary and multi-sectoral environment of a network.” CANRIMT is expected to train over 85 new graduate students and engineers in network laboratories and the manufacturing facilities of its industrial partners over the next five years. By developing the world’s most advanced virtual machining system for macro- and micro-machining operations, Altintas and his collaborators are transforming Canadian machining practices and establishing Canada as a global leader in advanced manufacturing. The other networks recognized by NSERC address such challenges as pollution, sustainable natural resource extraction and modernizing the stewardship of Canadian lakes. Original post from APSC News.